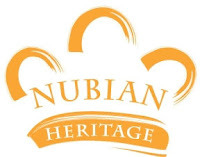 Nubian Heritage Nubian Heritage, a natural based line brought to you by Sundial Brands, creators of Shea Moisture, has created three new natural and organic hair repair treatment collections recently launched in Whole Foods. They use only certified organic and fair trade ingredients and their new lines have been created for thicker, curlier hair. So do yourself a favor and skip the silicone and other chemicals and protect your hair naturally with this brand new line. 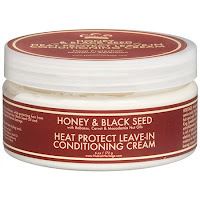 Here is my review on two of their products from the Honey & Black Seed line. The Black Seed and Honey Heat Protect Keratin Spray reduces frizz, provides high-gloss shine and protects against heat styling and UV damage. Arabian honey, carrot and macadamia nut oils leave hair soft and moisturized, while black seed oil strengthens tresses. Babassu oil helps to preserves hair's elasticity and keratin protects strands from thermal styling. I was impressed with this all natural hair protectant spray. It works for all hair types and is great for dry or damaged hair. It smells amazing too. You'll love the light, fresh honey and cherry scent. This high quality, natural protectant spray will moisturize, de-frizz and add shine to your hair and is great for heat styling. It leaves hair smooth, shiny and really cuts down on the frizz. Spray before heat sytling or after for a finished, sleek look. 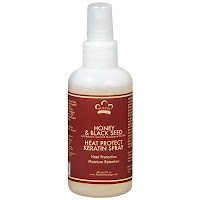 This is a must have hair product for anyone who wants a natural leave-in, protectant spray. Nubian Heritage Heat Protectant Leave-in Conditioning Cream moisturizes, de-frizzes and adds shine to all hair types. 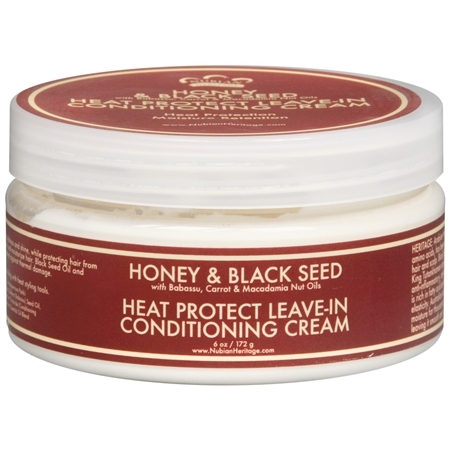 This all-natural conditioning cream provides all-day straightness and shine, while protecting hair from heat styling damage. The Arabian honey and macadamia nut oil moisturize, repair and protect scalp. Black seed oil rejuvenates and balances hair and scalp with its anti-inflammatory, anti-bacterial and healing benefits. Babassu oil strengthens hair and preserves elasticity. Carrot oil helps protect against thermal damage and Keratin helps repair damage and nourishes hair, leaving it smooth and silky. You can find these products in store at Target, Walgreens, select CVS stores and online at Walgreens.com, CVS.com and VitaminShoppe.com.